Road trip: New Zealand. Dunedin. My flight to Dunedin was an early one, but luckily the Airbus Express to the airport ran early as well. The hostel wasn’t anything special, but it was a bed so I was set. I did learn two very important lessons: the eye mask that the airlines give you when you fly is important—people have no qualms about turning on the lights in a room at 2 a.m. when they roll in. Along those lines: earplugs are also immensely helpful. I made a resolution to purchase some as soon as possible. The flight to Dunedin (pronounced with the emphasis on the second syllable) was uneventful and I arrived on time. My friend Angela was nice enough to volunteer to come pick me up and I was thrilled to see her roll up. Our first stop was to the Farmer’s Market at the railway station. 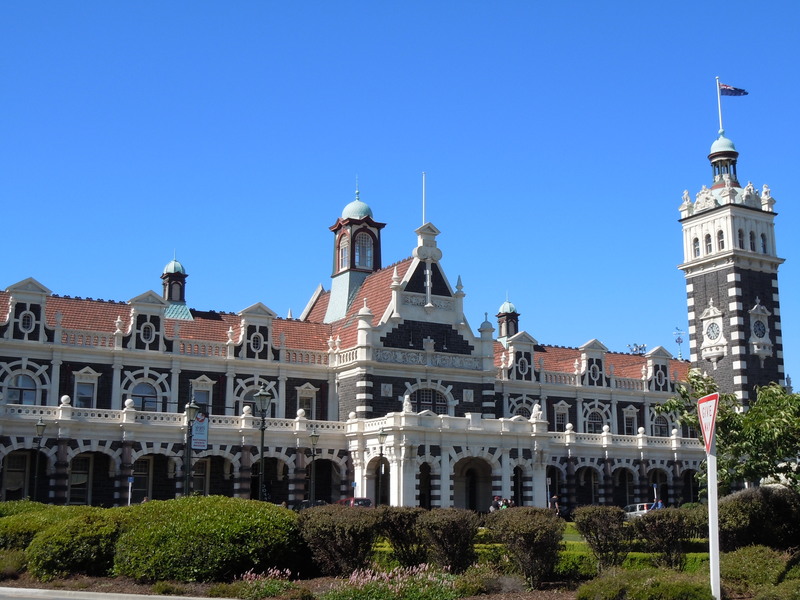 The Dunedin station is gorgeous, a big architectural wonder with great mosaics in the foyer and classic signs on the platforms. We had a quick look around before heading into the Farmer’s Market, which sold everything from organic meat and herbs to craft beer. While the beer tempted me, we decided to hold off on purchasing anything until we had a cooler bag. We grabbed a scone and coffee from Ironic coffee and planned out the next few days. The Dunedin Botanical Gardens are spectacular—and free to explore. 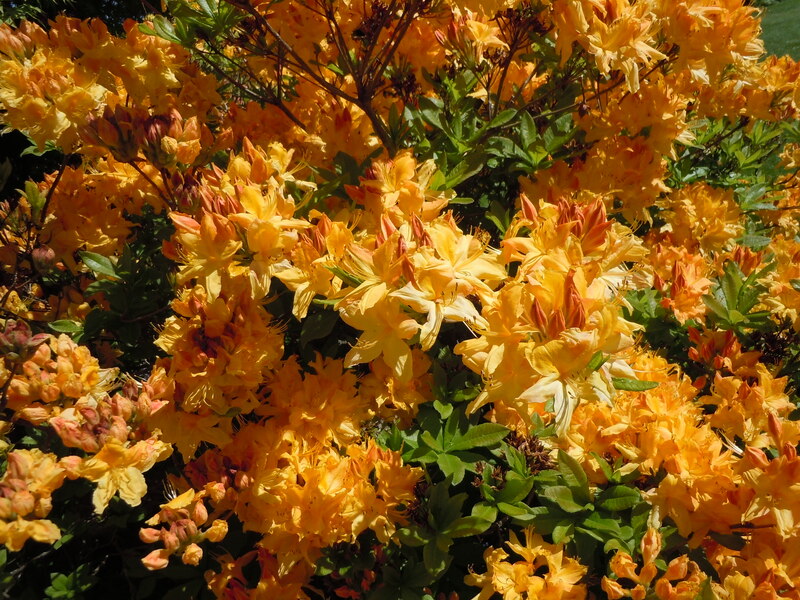 The rhododendrons were blooming and it was a pleasure to wander the walkways, soaking up the sunshine. 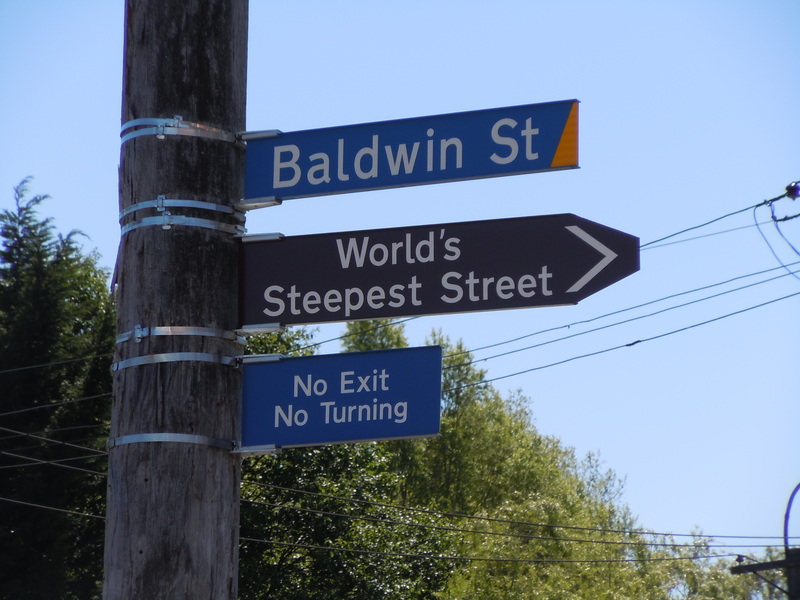 Baldwin Street is apparently the steepest road in the world. Rising on what seems to be a 70° incline, Baldwin street is quite a sight (though I’m not sure that it warrants the gift shop located on the corner). What really impressed me, though, was the couple running up the street. 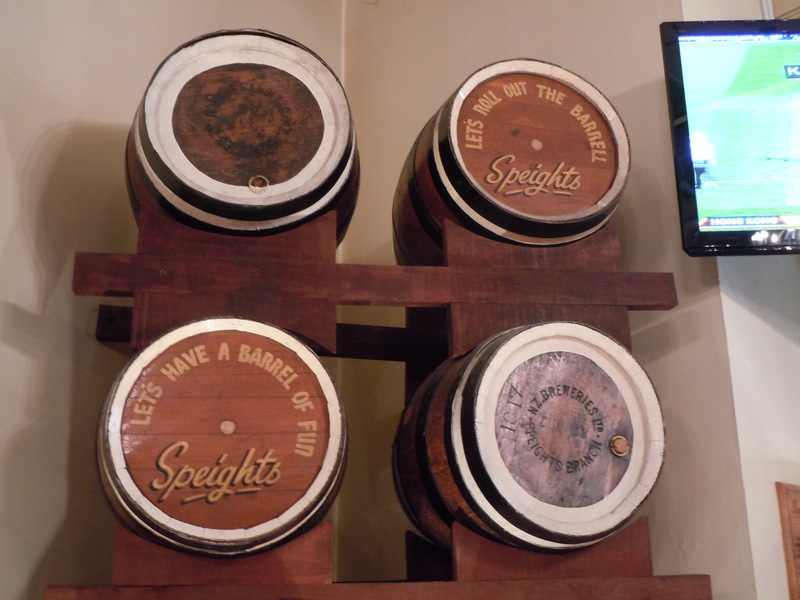 The Speights Brewery has a great vibe and a nice sampler to try the brew, though I wasn’t crazy about the beer itself. A bit like the Budweiser of the South Island, my favorite part is the Southern Man song—the lyrics are prominent on the window of the brewery. Craft beer and microbreweries are on the rise in New Zealand, something that I highly enjoyed exploring. Head into Metro to try Green Man beer, the output of an organic brewery in Dunedin. Looking for a place to stay? Hogwartz is a fantastic hostel in a prime location just up the road from the Speights Brewery. 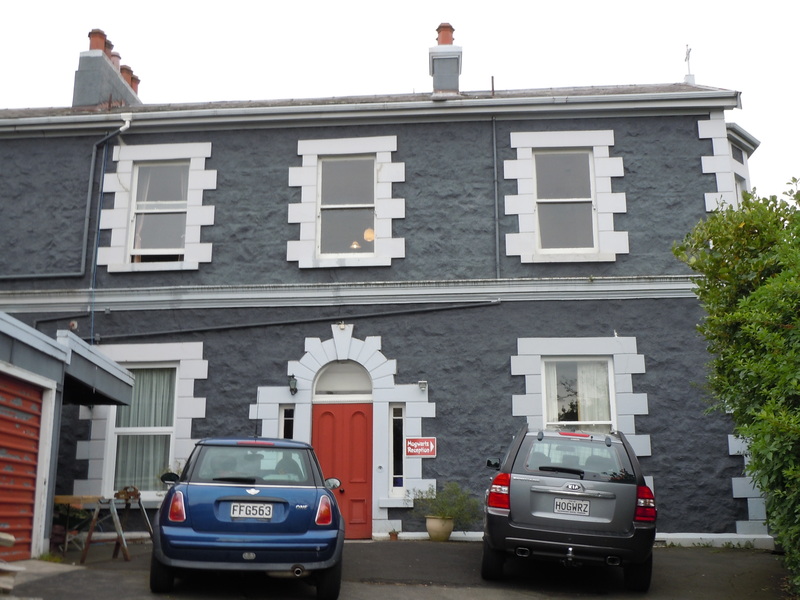 Don’t let the name put you off: the hostel, which was formerly the Catholic bishop’s residence, is clean and comfortable with friendly proprietors. We sat on the patio as the sun set, enjoying a bottle of New Zealand wine and some cheese that Angela had purchased on her travels (it would turn out that wine and cheese were a frequently enjoyed meal for us) before deciding to check out the evening scene in town. Downtown Dunedin is arranged around a center octagon and is very easy to navigate. It’s also a college town, so there are many options to enjoy an adult beverage and to dance, if you’d like. • Barakah has outdoor seating and is a prime spot for people watching. Halloween is not widely celebrated in New Zealand, but we did see a few people dressed up. • Scotia Bar: As Dunedin was settled by Scots, it follows that there is a Scottish bar in town. • Pequeño has tapas and a great wine selection, along with a clientele that is a bit older than the students that frequent other bars. Tags: baldwin street, botanical gardens, Dunedin, green man brewery, hogwartz, new zealand, speights brewery. Bookmark the permalink. Previous post ← Road Trip: New Zealand. Auckland.